Automatic Fiber Laser Welding Machine MT-FA Series is mainly used for Gold & Silver Ornaments hole-filling, Spot welding, joint repairing and flaw setting. 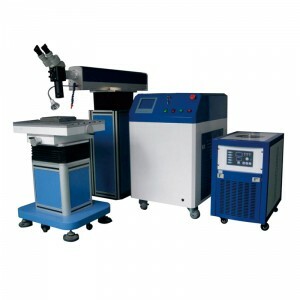 Laser Spot welder series has the advantages of small heat affect zone, adjustable welding spot, fine and smooth welding effect, accurate in positioning, high welding speed, good welding quality, and environmental friendly. Applicable materials including gold, sliver, platinum, stainless steel, titanium, and other metals and alloys. Laser Spot Welder series is widely applied to repair holes of denture, weld nickel strip of battery, IC lead hairspring, kinescope and electronic gun.